Extensively used in continuous process plants, the Drawout MCC Panel Enclosures also known as (Drawout Module, Drawout Trolley, With drawable Module, With drawable Trolley, With drawable MCC) offered by us ensures minimal downtime. The 65 kA short circuit tested appliance can be used for switchgear assembly & wiring. Our product helps in increasing the efficiency and remarkably reducing the downtime. Owing to the modular construction facility, the product helps in increasing the capability of future expansions. The motor control center (MCC) is of industry standards that caters to the needs of various sectors. The product is appreciated for its reliability, sturdy yet compact designs by clients throughout the nation. We ensure that the appliance is easy to maintain and requires less power. Our product caters to the diversified requirements of various industries and sectors. Designed with the implementation of switchgear that is provided by Siemens, L&T, Schneider, GE, ABB & other brands. In order to ensure fool-proof control and continuous flow of power, our clients can opt for our product range. Easy to use and reliable, the product range is widely demanded by industries like fertilizer, petrochemical, cement, oil refineries, chemical plants, steel plants, power stations, material handling plants & other continuous process plants. In every modern industry, reliable electrical systems are a must to reduce the production downtime ET improve efficiency. Motrcon:2480 motor control center (MCC) is of standard design, being designed to meet the growing needs of modern industry with maximum operational reliability Et safety. Its modular construction facilitates ease of future expansion ET changes at site. Motrcon:2480 is sturdy, compact ET highly versatile, whilst providing adequate space for ease of operation ET maintenance. Motrcon:2480 satisfies all the stringent technical requirements ET is thereby suited to meet diverse requirement under extreme ambient site conditions. It is specially designed to incorporate the complete range of switchgear of Siemens, LET, Schneider, GE, ABB etc. Motrcon:2480 provides fool-proof control for motors installed in various process industries viz, fertilizer, petrochemical, cement, oil refineries, chemical plants, steel plants, power stations, material handling systems ET other continuous process plants, wherein the continuous flow of power without the slightest break is a must. Motrcon:2480 is available in single front ET space saving double front design. As a part of our research initiative we have recently launched versions of the MCC using aluminum bus bars in the vertical bay as against the traditional copper bus bars. Another new development incorporates vertical bus-bars rated up-to 1000A per vertical bus against the previous standard of 600A. Motrcon:2480 enclosures are fabricated using the finest materials and come complete with all related electrical draw out accessories including power plug-in contacts ET axillary sliding contacts. All that is left for you to do is just the switchgear mounting ET wiring and you have a totally complete draw out panel. We are engaged in offering Panel Enclosure that are manufactured using solid modeling tools & advanced testing tools. The product is at par with industry standards and fulfill the needs of various industries. Our range is appreciated for efficiency and durability by clients across the nation. 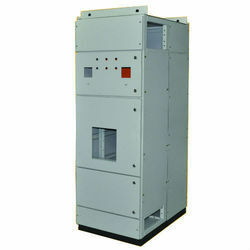 The prime application of these enclosures is for power control Centers in single tier, two ET three tier configuration. 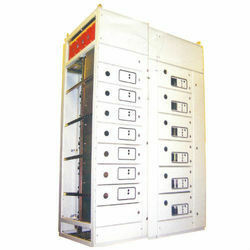 Looking for Drawout MCC Panel Enclosures ?